Will Holland aka Quantic has joined forces with Mario Galeano of Bogota's pioneering Frente Cumbiero to create Ondatrópica a new band embracing the past, present and future of Colombia's tropical cumbia sound. Now in its third year, BBC Radio 3's World Routes Academy mentoring project turns to Latin America. Born in London of Colombian descent, 2012's young apprentice is self-taught 20-year-old accordionist, singer and guitarist José Hernando Arias Noguera. Don't miss Arriba La Cumbia! this Friday 13th July 2012, a party with Cumbia, tropical, latino and amazonic and tonight SKA vibes! The rise in popularity of cumbia and tropical sounds just continues; with pleasure we return with another session of Arriba la Cumbia. 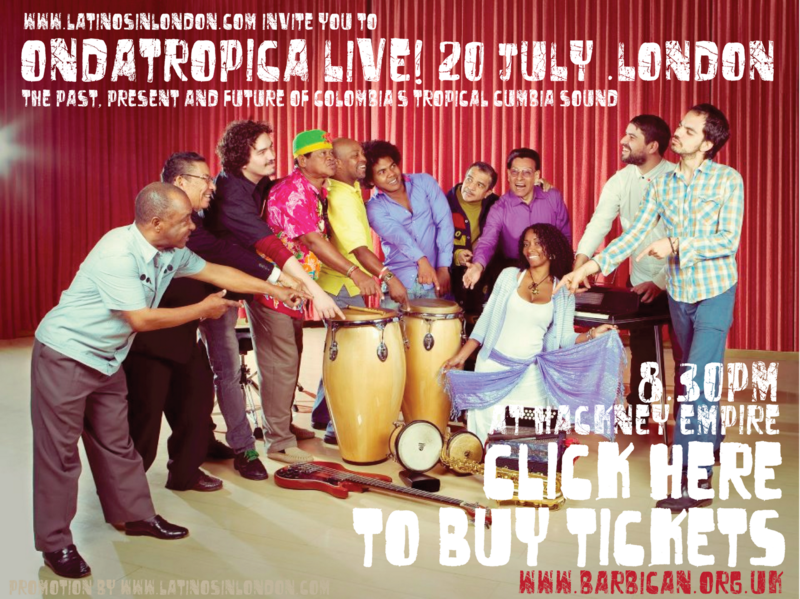 Special line up back from Venezuela Big Mandrake on European Tour + UK Colombian and BBC world routes academy winner: Hernando Arias accompanied by La tropical Vallenata. On the decks spinning the best Arriba la Cumbia! special tunes our host Dj Russ Jones aka Hackney GlobeTrotter+ Upstairs Version Excursion & Special guest Legend Earl Gateshead from Trojan Sound System. El festival de Bullerengue en Puerto escondido, Colombia is coming to London this 22nd June. will be a celebration and Live music with Cumbé. FREE ENTRY!! Join us! Arriba La Cumbia! is back to Hootananny, Brixton this 8th June with a great line up again. 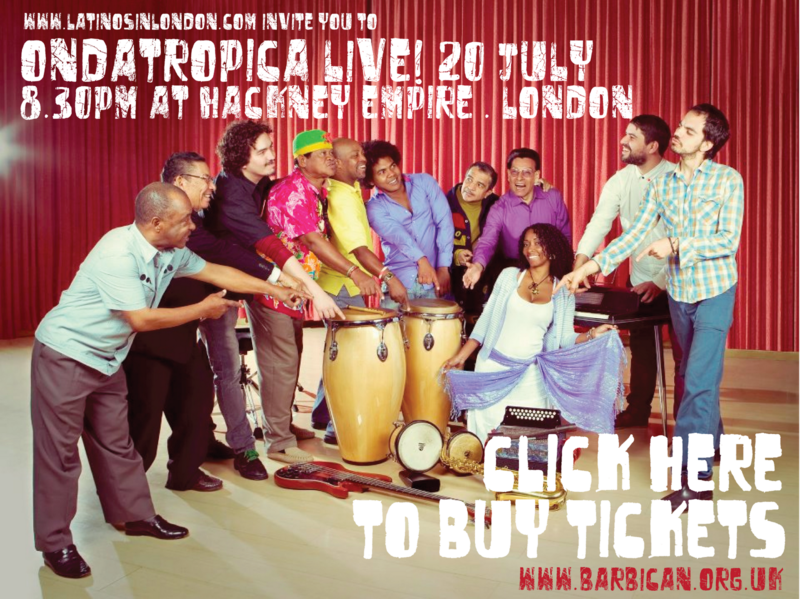 Direct from Brightonia POLLITO BOOGALOO, our UK "costeños" favourite band defiantly old school cumbia, classic 60's cumbia, vallenato and puya and mixing in a little dub and Haitian voodoo. Support comes by PHILIPSMAN &amp; LOLO MC, Cuban hip hop blending dancehall and caribbean flavours &amp; LATIN GROUND a mix of cumbia, merengue and salsa hits and choreographed dancers. After the massive success of their carnival special in February Batmacumba & Arriba La Cumbia team up for the second installment with an Easter Extravaganza taking in the full tropical sounds of Latin America from Brazil to Columbia and beyond. With summer already in the air this Easter special comes at the perfect time!! 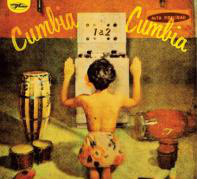 Fri 23rd March 2012 Cumbia, tropical, latino, amazonic! Guestlist £5 email to: info@latinosinlondon.com (Until 23 march at 4pm) - Guestlist entry is closed at 11.30pm £8 after. Please arrive early to avoid dissapointment. 18+ only (photographic identification may be required). 18th February, Barranquilla Carnival celebration in London and Live music with Cumbé. World Circuit Records are due to release ‘Cumbia Cumbia 1 & 2’ as a re-mastered double CD and limited edition double LP on March 19, 2012. Originally released by World Circuit as two separate albums – ‘Cumbia Cumbia’ in 1989 and ‘Cumbia Cumbia 2’ in 1993 - this collection brings together some of the greatest recordings made by Colombia’s legendary record label, Discos Fuentes, between 1954 and 1988. WWW.EUROCUMBIA.COM * info@eurocumbia.com * Powered by Latinos in London ltd (c). Awesome Inc. theme. Powered by Blogger.